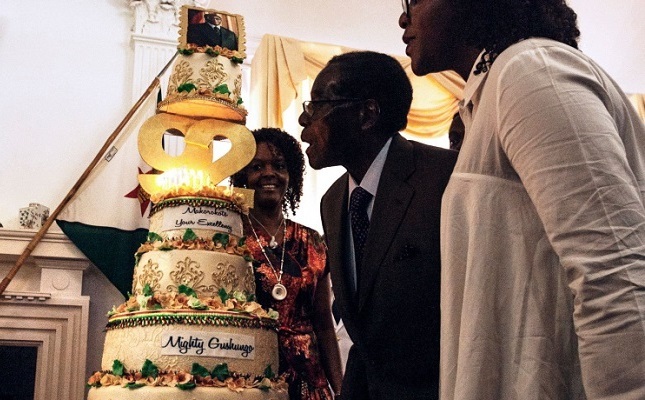 ZIMBABWE – Zimbabwe president Robert Mugabe and his ruling party, ZANU-PF, has been criticized for spending close to a million dollars on Mugabe’s 92nd birthday party at a time when the country is suffering from economic turmoil, BBC reports. The festivities were labeled “obscene” by the opposition party, the Movement for Democratic Change (MDC). A spokesperson for the MDC said that the money should have been spent to “to avert the impending starvation” instead. Zimbabwe has been wracked by economic problems in recent years, stemming not just from hyperinflation, but also due to the government’s campaign of seizing land from white farmers and giving it to blacks with less farming experience, the Washington Post reports. Once a food exporter, Zimbabwe now relies on international aid to feed 25% of its population. Mugabe came to power in Zimbabwe as a leader against British colonial rule, for which he is still widely celebrated in Africa. Under his reign, the life expectancy in Zimbabwe fell to among the lowest in the world, to under 40 years in 2006, the BBC reports. Just earlier this month, Mugabe had declared a “state of disaster” in the country because rural areas had been hit with a drought, precipitating food shortages for a quarter of the population.